One of the perhaps less-known parts of WWII was the exploits of the Chindits. 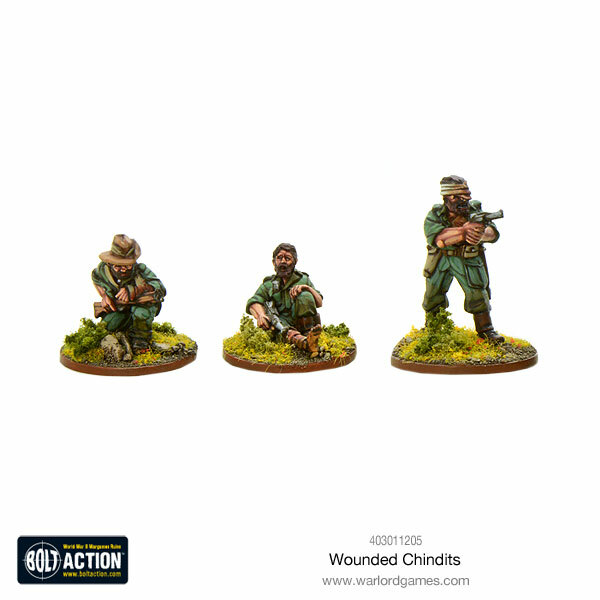 These jungle-fighting specialists went into Southeast Asia and deep into enemy territory to harass the enemy's back flanks. They would disrupt support and rail lines with their guerilla-style tactics. 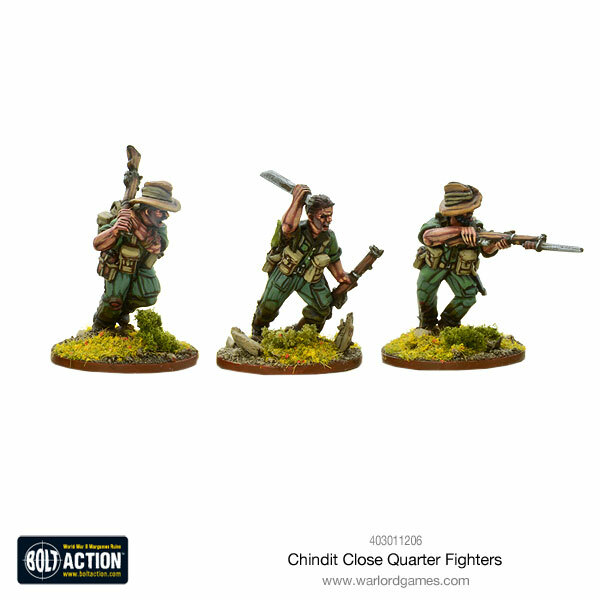 You can now add these tough fighters to your Bolt Action armies. 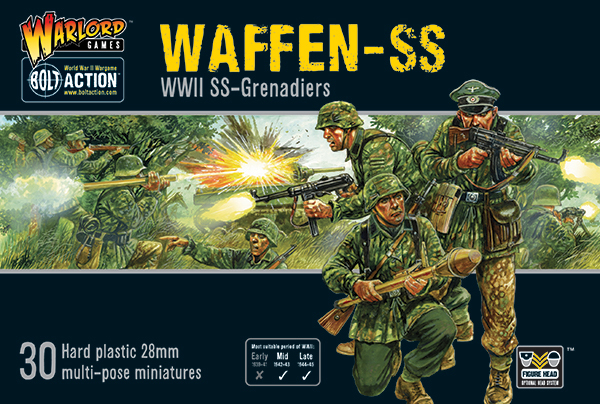 Along with that, back in Europe, if you've got a German force, you can order the new Waffen SS Grenadier pack. Great Britain’s armies had suffered cruelly at the hands of the ferocious Japanese assaults of 1941 and 1942, leading some to think of the simple Japanese soldier as an invincible foe in the steaming jungles of the Far East. Brigadier Orde Wingate thought otherwise, organising long penetration columns of British, Indian and Burmese troops to plunge unsupported behind the Japanese lines and raise havoc on the road rail and supply trains. 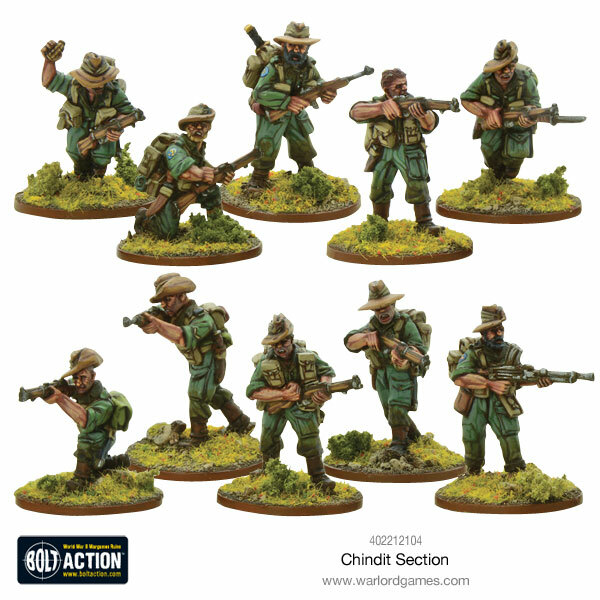 Personalise your jungle task force with the new Burmese Scouts, Chindit close quarter fights and wound chindit models! 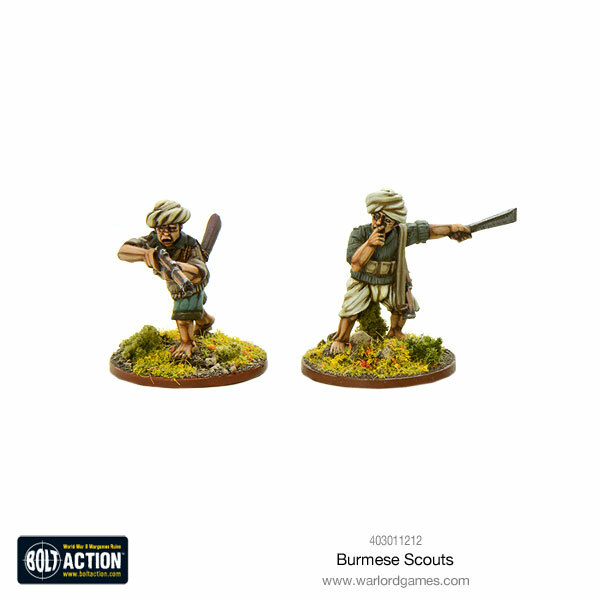 Using their knowledge and specialist training, these Burmese scouts perform vital reconissance missions and gather important intel. The Waffen-SS was a controversial organisation – their zeal and discipline could not be questioned although their many documented atrocities will perhaps be their greatest legacy.